I am so excited to introduce you to this sweet couple! They are due to have their baby girl any day now. Chie made a last minute decision to have her pregnancy photos. We took these photos on her due date! She still has the cutest small belly. You’d never know that she is ready to pop. 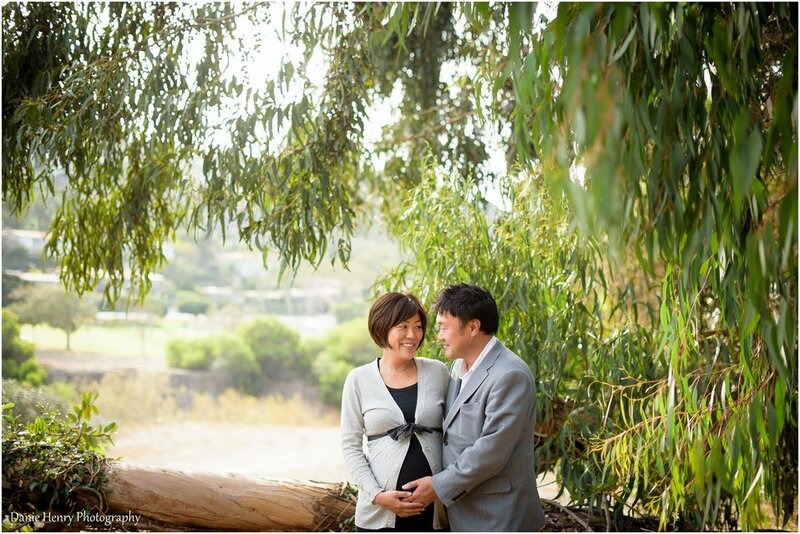 To learn more about my maternity photography, click here. 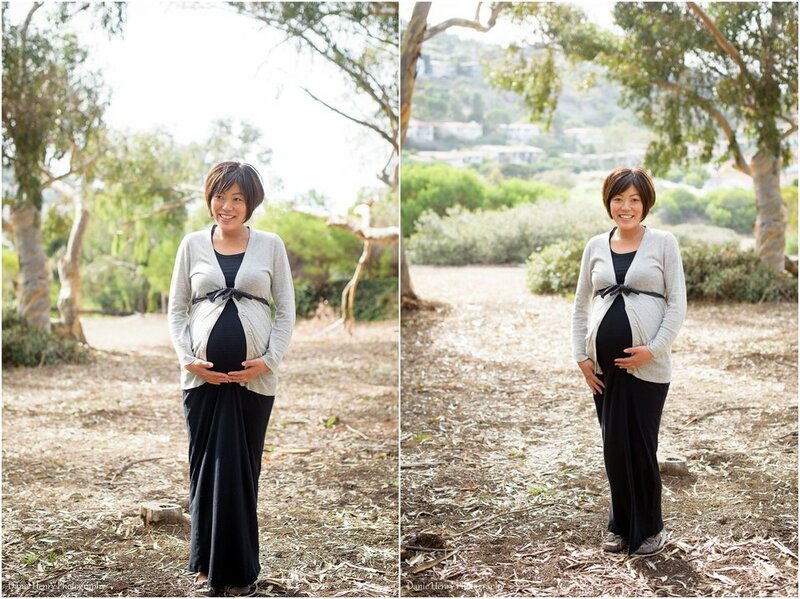 We took these pregnancy photos at one of my favorite spots in Palos Verdes. PV always provides for beautiful landscapes and dreamy lighting. This soon to be mom and dad are very excited about their baby girl. I love to photograph couples in a few “posed” photos, but my favorite photos come from sincere interactions between people who love each other. This loving couple was full of smiles. They were just beaming with joy and love for one another and their growing little girl. Congratulations Chie and Jin! I am so happy for you! I can’t wait to meet your little Emma. Are you wondering about my photo sessions? I’d love to answer any questions that you have! Contact me here, and I’ll get back to you right away.